In continued alignment with goals laid out in the P5 report, we’re making progress on our newest muon experiment, Mu2e. A four-day DOE Critical Decision 2/3b review of the experiment concluded Friday. The review went extremely well and validated the design, technical progress, and the cost and schedule of the project. The reviewers praised the depth and breadth of our staff’s excellent technical work and preparation. Official sign-off for CD-2/3b is expected in the next several months, followed by construction on the Mu2e building in early 2015. Construction on the transport solenoid modules should begin in the spring. The experiment received CD-0 approval in 2009 and CD-1 approval in 2012 and is slated to start up in 2020. 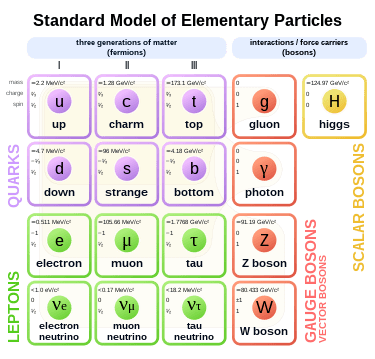 Named for the muon-to-electron conversion that researchers hope to observe, Mu2e is a crucial stepping stone on our journey beyond the Standard Model. and in the hunt for new physics. It will be 10,000 times more sensitive than the previous attempts to observe that transition. Experimenters will use a series of superconducting magnets to separate muons from other particles, guiding them to a stopping target. After the muons have been captured by aluminum nuclei, a very small number are expected to transform into only an electron rather than the typical decay into an electron and two neutrinos. It’s a change so rare, theorists liken it to finding a penny with a scratch on Lincoln’s head hidden in a stack of pristine pennies so tall that the stack stretches from the Earth to Mars and back again 130 times. The experiment will provide insight into how and why particles within one family change into others. It might also help narrow down theories about how the universe works and provide insight into data coming out of the LHC. Discovery of the muon-to-electron conversion would hint at undiscovered particles or forces and potentially illuminate a grand unification theory — not bad for a 75-foot-long experiment. Many months of hard work preceded last week’s review. Thank you to all who were involved in helping to move this important experiment forward.